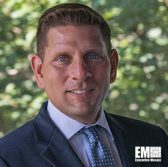 Eric Trexler, vice president for global governments and critical infrastructure sales at Forcepoint, has said the Continuous Diagnostic and Mitigation program launched by the Department of Homeland Security and the General Services Administration is an initial step in the integration of cybersecurity requirements into federal information technology efforts. Trexler wrote in a LinkedIn article posted Aug. 13 that CDM works to help agencies gain access to automated data tracking, risk assessment and network monitoring tools designed to address cyber vulnerabilities. He cited the House Homeland Security Committee’s approval of a bill – Advancing Cybersecurity Diagnostics and Mitigation Act – that aims to codify the CDM initiative and its potential role in raising awareness about the program and ensuring the availability of cyber tools for federal agencies. He said the proposed measure also seeks to reflect Congress’ recognition of cybersecurity as a national security issue. Trexler noted that CDM is set to transition to the third phase, Dynamic and Evolving Federal Enterprise Network Defense, that would involve tracking systems across mobile devices and cloud environments. “I view this next phase a restart of the program and an opportunity to build upon the lessons learned in phases one and two to make for a smoother more enduring process,” he added.